View Cart “Free eBook – 101 Answers to Your Most Frequently Asked Diet & Weight Loss Questions” has been added to your cart. Discover the foods you MUST eat to lose weight, along with the foods you MUST avoid at any and all costs that will cause you to gain weight and ruin your weight loss goals. You also get the answers to 101 of your most frequently asked diet and weight loss questions. 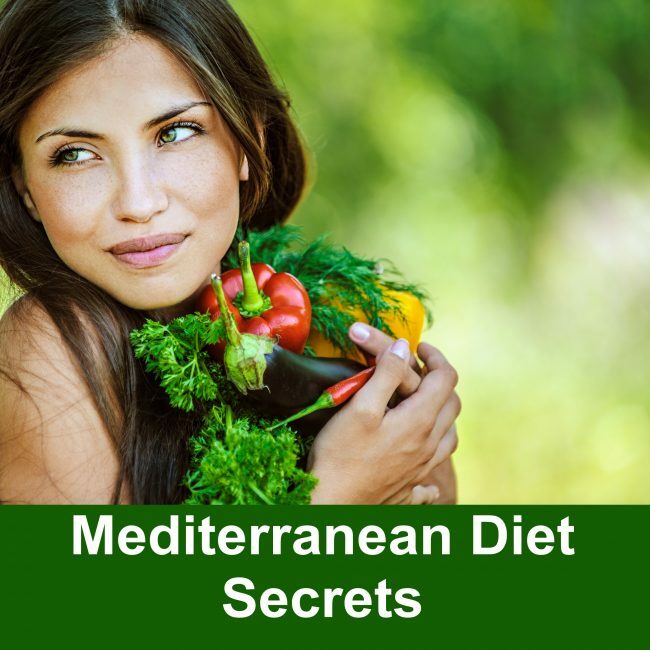 You also get recipes and a complete 28-day Mediterranean Diet meal plan. The American Heart Association calls the Mediterranean diet “the gold standard” in heart disease prevention. The Mayo Clinic calls the Mediterranean diet a diet for the whole family. Why 95% of all diets fail…and the exact steps be in the successful 5% – and stay there permanently! Why diets CANNOT work …unless you know this simple, but amazingly effective weight-loss strategy! The 5 best foods you should eat all the time. How to break through the “fat loss barriers” – even if you’ve been stuck at the same weight for years. Why dieting below your recommended calorie level can cause serious harm to your metabolism and actually make you gain weight! Why eating certain “good” fats can actually speed up weight loss, increase your energy levels and enhance your health. Why some people always seem to gain back the weight they’ve lost, and how to guarantee YOU keep it off for good. Why you will almost ALWAYS fail to keep the fat off permanently if you use a conventional low carbohydrate diet. Reduce your blood pressure and bad cholesterol levels. Decrease the risk of heart disease, diabetes and cancer. Increase your life expectancy by up to 10 years. Thank God for your program because I’ve only been on it for just over three weeks and I’m already seeing results. I bought I mainly to try switch to a healthier way of life. I feel so much more energetic and my skin is looking much clearer. I have also lost a lot of weight and can see the edges of my jaw line for the first time in years. I started this diet two weeks ago and I have to tell you that it is the most effective one I have ever been on. This diet has regular food to eat and I didn’t feel like I was on a diet at all. The best news is so far I’ve lost 7lbs. Just wanted to let you know I have recommended this diet to everybody I know. I have spent hundreds of dollars on different diet programs, like Weight Watchers, Atkins, South Beach, and I even started buying pills like Zantrax! But this program is actually realistic and has provided me with amazing results. My eczema has cleared up a lot too! I’ve been meaning to email for ages to send you a big thank you for helping me to change my life around. I started your plan a couple of months ago and have had some incredible results. I have been massively overweight for years and was also diagnosed with having extremely high blood-pressure, cholesterol as well as other health problems… after following your instructions this has all changed. After using this adjustment in my diet, I have lost nearly 22 lbs and my blood pressure has returned to a safe level of 132/85. I am a totally renewed person. I look better than ever and feel amazing. Thank you once again.